Just because it's the best policy doesn't mean it's easy. Have you ever had those times when you knew what you wanted or needed to say, but somehow just didn’t get the words out of your mouth? As adults we need to be accountable. Being accountable requires having integrity — that means we need to be honest in our thoughts, words, and actions. When one of those links is lost — for example, our words — we can no longer hold up our role of integrity for ourselves, the people we love, or our community. Which is why we feel so bad when we don't speak out against a social injustice or be honest when asked, "how are you doing?". We’re letting ourselves and everyone else down in a very subtle but very real way. So why aren’t we saying the hard truth? We often hold back from speaking the truth because there’s a risk involved — usually some kind of loss. 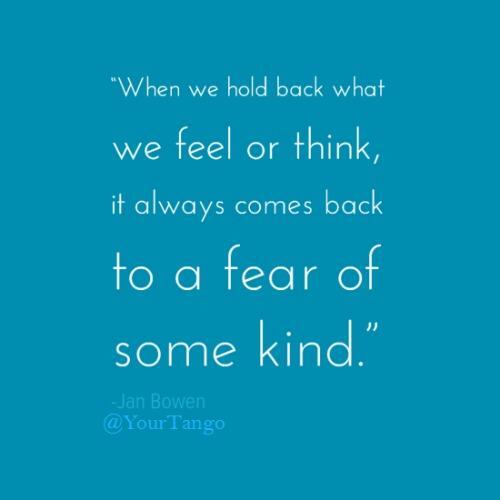 When we hold back what we feel or think, it always comes back to a fear of some kind — often within ourselves. Give this question careful thought. Maybe your fear is concerned with hurting someone else, or at the very least their feelings. After you deliver what you have to say, they may not like you any more. They may reject you and all you stand for, including the good times you’ve shared. Perhaps you suspect your manager is endangering their life with a drug habit and speaking out puts you at risk of losing your job. Or you might be concerned about losing a friendship if you exert your independence and say you really don’t like going out every Friday night with the group. Announcing to your carpool group that you can’t stand riding with them because you get migraines may put you at risk of losing social status when you no longer know the latest gossip. Another fear that comes with being honest is of being wrong. What if you’re embarrassed because you speak your mind only to learn some new information that contradicts your opinion? Even though many of the examples above involve another person, at the very root of each is a personal fear: If you speak the truth and reveal who you truly are and what you believe and stand for… what then? The bigger question is — what happens if you don’t speak up? If you choose not to be honest? 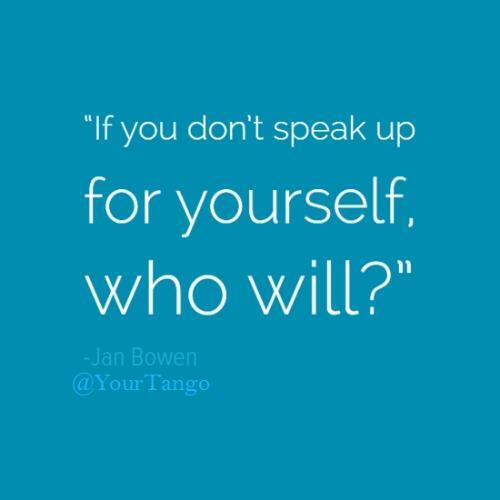 When you don’t speak up you are letting yourself down. You are denying that you — who you are and what you stand for — matter. By not speaking, you are tacitly allowing others to say they are more important than you. Furthermore, lying causes stress and harms your brain and body! We have to start by being honest with the first link of integrity (our thoughts) to be able to carry it through to our words and actions. Get to the bottom of your fear and you’ll find it much easier to speak up. At times, however, it will undoubtedly still be difficult to find the right words and the right way to say them. 1. Be honest AND be kind! 3. This isn’t a war you’re waging. You are living a life of integrity so do it with style, not rancor. You have a legitimate stance and are honoring it — just as you are honoring the other person by allowing them to have their point of view. We all have our way to get through this world. Live yours fully and allow others room to live theirs. Remember that your opinion is just that: your own. Own it totally, and accept that it is only your opinion. Everyone else has their own right. 5. Own your words and only yours. Don’t parrot or take on anyone else’s. We can only be accountable for ourselves, so say what you have to say and let it go. 6. Only speak up if you are providing value — to yourself in some way or to the listener. What is “value”? Would you, or the other party, be able to benefit without you speaking up? H -(are my words helpful? I -am I being inspirational — or illegal — in any way? N -is this necessary to say? K -am I being kind? If you haven’t been totally honest, it may be difficult to initially find the words to speak up, but once you do, honesty and living your life with integrity will become the only way you will accept to live. If you don’t speak up for yourself, who will? Jan L. Bowen is a passionately authentic thought leader who helps clients align their lives so they find more joy and greater connection through articulating and living their purpose. To get Jan’s latest book, "Why Do You Get Up In the Morning? How to Demystify Your Life Purpose," download it now. You will also receive her newsletter, with articles only available by subscription.